Category: Utilities / Security & Encryption | Author: Janusware Ltd.
A lot of different information about a user's activity is kept within the personal computer. Usually the user does not know about its existence. 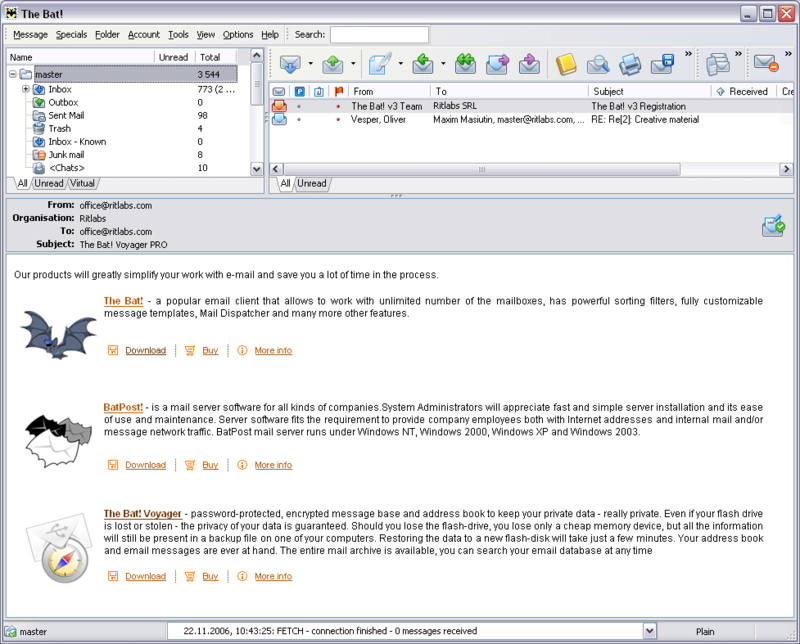 TotalRecall is a free forensic analysis tool to reconstruct Microsoft Internet Explorer (MS IE) activity and some user's activity on the computer. IE caches URLs which were visited by users. MS IE stores its Internet activity in index.dat files. These files are binary database files, which are used by Microsoft as the file type for storing several different sets of information. Included among these files are user data, Internet cookies, and Internet history storage. These files are found scattered throughout the users' profile folders. Because browser activity files are in binary form, special tools are required to read them. Now, our program investigates: IE activity, IE history, IE cookie, IE favorites and user's activity (recent files and folders, not erased temporary files). After processing, the information from the source is loaded into the appropriate table (all information for the current user may be completed automatically). It is possible to open the file by the program with which it is associated just by double clicking on a selected line of a table. When you select the image from the table its thumbnail is shown at the bottom right corner and it helps you preview the pictures using a built-in viewer. Any table may be sorted by columns in any order. Find-command locates the row of a table containing the regular occurrence of the search string. The table context menu provides quick access to useful commands (Open, Open withâ€¦, Open Folder, Copy/Move toâ€¦, etc.). The contents of any table may be exported to an .XML or a .TXT file. The program allows collecting data for all tables or for some tables depending upon the criteria set. The program determines the language of your installation of Windows and sets the working language in accordance with corresponding language file (if it exists) then sets it as default. #1 Smart Protector Pro - Internet Eraser - Erase history, cookies, temporary Internet files, recycle bins, typed URLs, auto-complete addresses and forms automatically. Other features: Cookie Manager, Save/Restore State, Scheduling, Stealth mode, Emergency Key and more. NetAdjust Cleaner - NetAdjust Cleaner is a multiple award-winning complete internet eraser (internet cleaner, history eraser, track eraser) utility to do a complete internet cleanup (delete internet cookies, delete temporary internet files...). AntiSpy - AntiSpy eliminates the traces of your internet activity and work on the computer. Clear History,Cookies,index.dat, Temporary Internet Files, Cache, Run and find history and a lot of other features. Wipe - Easy and powerful tool to clear user browsing history, clean index.dat files, remove cookies, cache, logs, delete temporary internet files, autocomplete search history and any other tracks that user leaves after using PC. Prevent data recovery. #1 Smart Protector - Internet Eraser - Erase history, cache (temporary Internet files), recycle bins, cookies, typed URLs, auto-complete addresses. Using Save/Restore State capability you are able to leave the computer in exactly the same state as it was. PCMesh Internet Cleanup Pro - Utility to erase your Internet tracks by clearing the Cache, Cookies and History including index.dat files. It can also display the contents of index.dat files.Additionally delete typed URLs, user names, passwords, etc. Complete Internet Cleanup Pro - Utility to erase your Internet tracks by clearing the Cache, Cookies and History including index.dat files. It can also display the contents of index.dat files.Additionally delete typed URLs, user names, passwords, etc. Real Time Cleaner - Real Time Cleaner is an efficient Internet Explorer Privacy Protection Solution that automatically erase, all your online activity tracks such as browser cookies, history and temporary files.